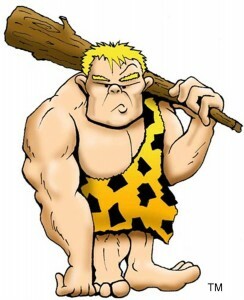 Is The Caveman Diet For You??? Many of our Machado Brazilian Jiu-Jitsu practitioners are always searching for tips and tricks to improve their fitness and strength levels. I guess it goes hand in hand with the competitive nature of the sport and the constant quest to improve. Is the Caveman Diet the secret answer? You decide! One of the newest, yet oldest diet crazes to come along is the Caveman Diet. It has gained great popularity amongst men looking to improve their health. It has been said that this diet is particularly valuable in helping men achieve muscle and fitness development. This is because this ancient dietary menu is designed around what people were intended to eat. Modern man has tended to stray from the natural selection of food we were accustomed to over the last few thousand years and it may have prevented us from achieving maximum health. The premise behind the Caveman Diet is simply not to eat anything that an ancient caveman did not have access to. A crucial element in this regard is to stay away from processed foods. It is common knowledge that processed foods are less than ideal in the pursuit of a healthy eating regime. The Caveman Diet takes this premise a step further by recommending avoiding all foods that are products of modern agriculture. Cavemen were not farmers; they consumed what they could forage or hunt. That would limit us to naturally occurring foods. Experts speculate that the reason the Caveman Diet works so well is that it allows us to eat food that our bodies were designed to eat. It’s easy to say we should all eat like cavemen but that begs the question, what did cavemen eat??? Experts again say cavemen primarily ate meat and vegetables. They also foraged for nuts and berries and to a lesser extent fruits. If you’re game enough to try the diet these are definitely things to which you want to stick. Another major difference between modern man and our ancient ancestors is that they consumed a lot more meat than we currently do. Most modern day diets recommend about 75 per cent carbohydrates and about 15 per cent protein and fat each meal. Instead the Caveman Diet encourages equal parts protein, fat and carbohydrates. When it comes to diet and fitness there’s a lot to be learned, however once you understand the basics of healthy choices you will be well on your way to getting into the best shape of your life.